Kids will have a ball at magical Battersea Park Children’s Zoo, located in the heart of Battersea Park in London. 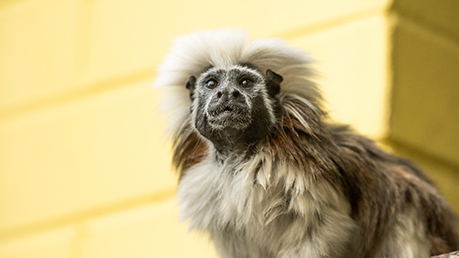 Here they can learn about endangered species such as our native hedgehogs and the very rare Scottish wildcat, as well as enjoying the playful antics of capuchin monkeys, Asian short-clawed otters, cotton-top tamarins, meerkats and more. They can say hello to Dusty and Smokey, our friendly donkeys, or Feather, the Shetland pony. Emus Ant and Dec are fun to watch, along with the playful coati, with their cute faces, the beautiful ring-tailed lemurs or the busy harvest mice. See birds, insects and reptiles up close, such as bearded dragons, rare Bali starlings and Muckle the barn owl. With regular story times and plenty of fun-packed activities, plus a life-sized helicopter, tractor and fire engine to play on too, it’s a world of wonder for little ones.